Charlotte Tilbury MBE is a world renowned make-up artist and a contributing beauty editor to British Vogue. Her products have won numerous awards and she has worked with an impressive portfolio of clients such as Kate Moss and Kim Kardashian. 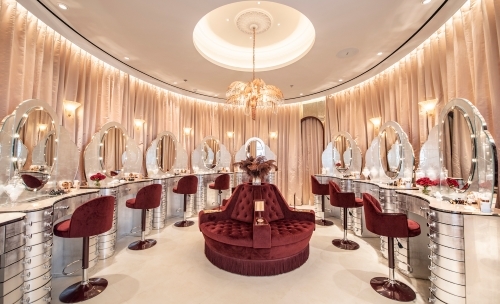 This package gives you and a friend the chance to learn all the tricks and tips at Charlotte's Beauty Boudoir in Covent Garden. Your '˜Expert Artistry Made Easy' workshop lasts 2 hours and you will be welcomed with a glass of bubbles, receive a luxury goody bag and have £100 to redeem on the products. Once beautified, you will then head to Clos Maggiore, voted the most romantic restaurant in the world, where you will enjoy a glass of champagne on arrival, three-course set lunch and half a bottle of wine per table. Must be booked and taken within 12 months of purchase. Various days available each week, subject to availability.